Today, July 25th is the 43rd anniversary of the Papal Encyclical Humanae Vitae issued by Pope Paul VI. ‘Humanae Vitae‘ is the Latin for ‘Human Life‘. This encyclical reaffirms the Catholic Church’s 2000 year old teaching on marriage, love & parenthood. It is a continuity of the Church’s doctrine and tradition. I encourage all of you to read Humanae Vitae atleast once. We as Catholics need to understand the Church’s teachings on Marriage, Love and Parenthood. We need to realize that the Church has always condemned Contraception, Sterilization and Abortion as mortal sins. We are not free to choose in the service of transmitting life. We are bound to ensure that what we do corresponds to the will of God the creator of life. 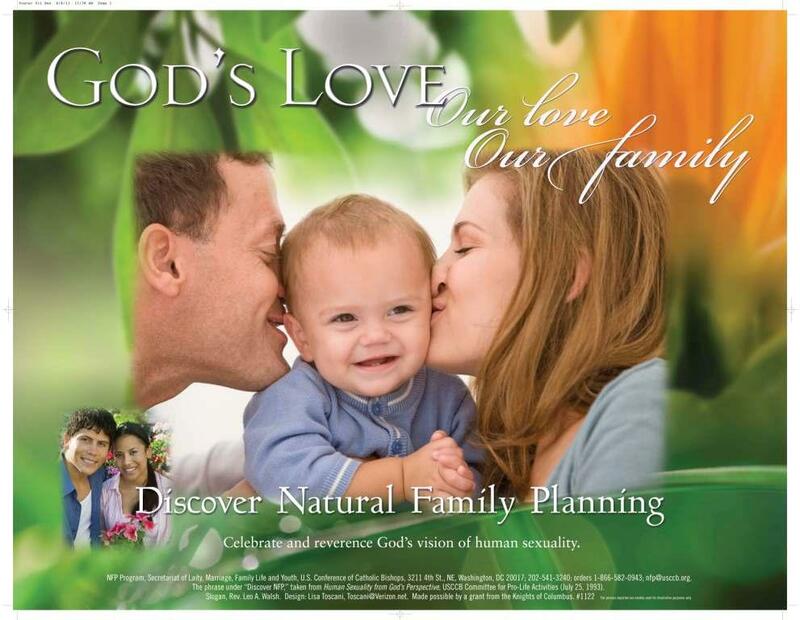 The only acceptable way of Family Planning is Natural Family Planning (NFP). And the Church has definite teachings on when it is morally acceptable for spouses to use NFP for spacing and limiting births. July 25-30, 2011 is NFP Awareness Week. During this week, let us take some effort to learn more about NFP and how God has planned for our families. So many people have never heard about NFP and many who have heard would like to learn more about NFP. Three years ago, when we attended Pre-Marriage Classes in India, we were introduced to the term “NFP” for the first time. Some of the instructors vaguely mentioned something about Natural Family Planning but there were no teachings on how to use NFP or the different methods of NFP. Infact, it was the first time we ever heard that Abortion & Contraception were morally wrong. Indeed, it took us some time to accept the teachings of the Church since it was the first time we were exposed to the truth. 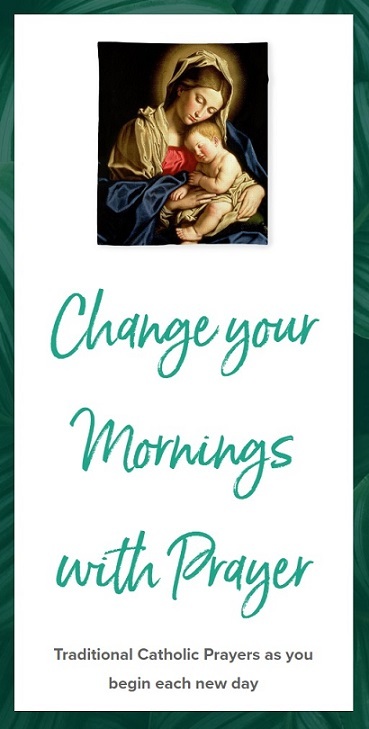 How good it would have been if we were exposed to these Teachings in our parishes or during CCD/Catechism Classes during our high school years. Instead, the only information we obtained after years of schooling was the urgent need to control Population Explosion and to limit the family size to 2 children. The Civics Text books were filled with lessons on population control and how the government promotes contraception & sterilization. Imagine your shock, when for the first time, you hear vice versa during the Marriage Preparation Classes. Looking back, I have realized that the Catholic Church in India has never taken any solid effort in promoting Natural Family Planning. Never have I heard any Priest speaking about Contraception or Abortion during any homily or as a part of spreading awareness among Catholics. I have never seen any NFP Classes being taught at any parish or diocese. I tried searching online to find NFP Resources/Classes for Indians. Instead, I found this article where Sister Catherine Bernard mentions how little the Catholic Church does to promote NFP in India. And thus, many Catholics in India are completely ignorant about NFP and they continue to live in a world of deceit filled with contraception & abortion. They don’t realize how grave a sin they commit when they contracept or abort. I have seen Catholics proudly limiting their families to 2 children. Thanks to the propagation of Population Control by the government & media. So many Catholics seek the doors of Secular Hospitals for contraception, sterilization & abortions and they speak of it as if it is the most natural deed. On the contrary, after coming to US, I have seen NFP being taught at many parishes. I have heard Priests boldly condemning Abortion, Contraception & IVF. Indeed, I am amazed that in a country like the United States, there are faithful Catholics who strive to spread the teachings of the Catholic Church. And, I sincerely wish that Catholics in India would come out of their potholes and be brave enough to stand for what the Church teaches. You can either be a “Catholic” or not. There is nothing like “I am a Catholic but I contracept”. You need to accept all the teachings of the Church if you are a Catholic. You cannot pick and choose what you like. We as Catholics have a moral responsibility of finding out what the truth is and educating our fellow Catholics. We cannot allow Satan to spread his propaganda of birth control pills, abortions, IVF, homosexual marriages and so on. We are obliged to spread the teachings of the one true Holy Catholic Church. We cannot allow Catholics to live a life of grave sin. Indeed, if you have been Contracepting or have seeked Abortion, you have committed a Mortal Sin. Unless you confess your sins and amend your ways, you have no right to receive the Holy Eucharist. You cannot profane the Most Holy Sacrament. What are the different types of NFP? What does the Church teach about contraception & abortion? How does NFP promote marriage? I know many Priests from India follow this blog. If any of you readers wish to contribute any articles on NFP and spread the message among Catholics in India, please contact me. We are in need of faithful Catholics more than ever before to spread the word.